The suspect, Javier DeSilva, was arrested Monday night in Queens after he used an ATM card in New York that belonged to Reyes, said Capt. Robert Berry of the Greenwich Police Department. Following his arrest, DeSilva “admitted a role” in Reyes’ death when police detectives interviewed him, Berry said. Authorities declined to discuss the relationship between Reyes and DeSilva. DeSilva was in federal custody on Tuesday. He’s expected to be charged with federal crimes and will be prosecuted by the US Attorney’s Office of the Southern District of New York. It wasn’t immediately clear Tuesday whether DeSilva has an attorney. 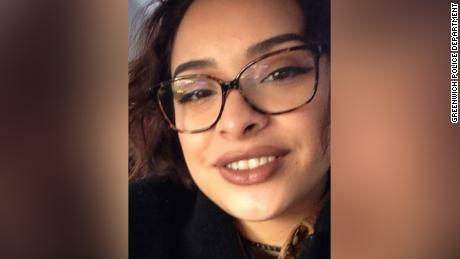 Reyes, 24, had been missing for about a week when her body was found February 5 inside a suitcase in Greenwich, Connecticut. A group of highway workers who were on a routine sweep spotted the bag about 15 to 20 feet from a road. The Connecticut chief medical examiner’s office has not yet released the cause and manner of Reyes’ death. DeSilva’s arrest comes after detectives examined “multiple crime scenes,” reviewed hundreds of hours of surveillance footage, interviewed numerous potential witnesses and analyzed social media footprints, Greenwich police said in a statement.